Couple of months ago I wrote about this new great blogging platform called Ghost, which aims to fill in the gap that was left when WordPress became a CMS. I backed this project on KickStarter and receive a preview version on Friday, so I tried it and decided to do a small Ghost Blogging Platform review here. 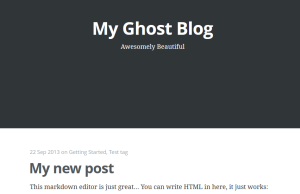 As it was announced, Ghost blogging platform is made in Node.js and it requires version 0.10. * to function properly. This is not a problem to test Ghost on local machines, to get it visit http://nodejs.org and press ‘install’ to download the latest stable version of Node.js, it will install proper version according to your OS. If you are using Windows, be sure to restart after installation, so that the path variables are set. Error: mysql is not a valid Knex client, did you misspell it? Now, your blog is ready on http://localhost:2368. 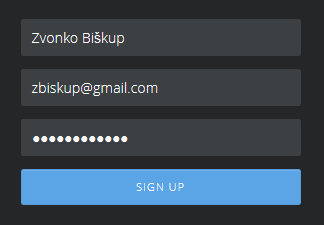 Before using Ghost, we need to register a user on /ghost/signup. It is not clear, but it seems that at this moment only one user can be registered. When you sign up, you will be taken to admin part of Ghost blogging platform. When you click on the Settings link in the admin part, you can adjust several Blog settings like Title, Description, Logo, Cover image, Theme … There is a also a User setting part, where you manage your user profile with Avatar, Bio, Website and similar information. 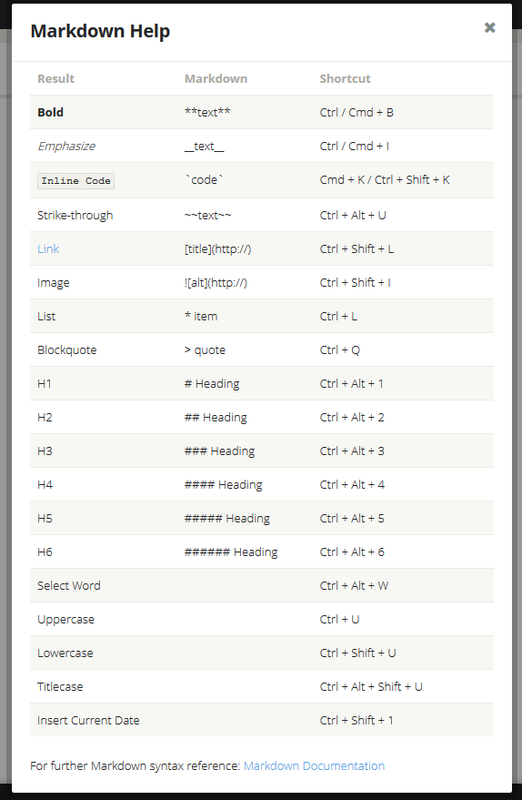 At this moment only index.hbs and post.hbs are required for your theme to work. If you want to play, just copy the default theme Casper folder, rename it and you can select your new theme from Ghost settings screen. That’s it. If you want to see how to make a Ghost theme, go to my Making of Twenty Thirteen Ghost Theme tutorial. Well, there is plenty to do still from developer’s point of view. That beautiful Dashboard, plugin UI and API, navigation functionality and UI, user management… All in all, Ghost is a great blogging platform even at this stage. My concern is that it can not be installed on most shared hosting platforms. But, it will be available as hosted solution, too. Time will tell. Please share your thoughts below in comments. I’ve been very impressed with what I have seen so far. 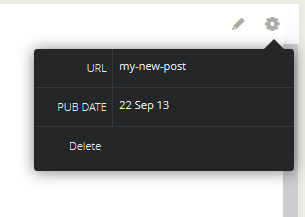 I’m almost ready to move over to it, but I need the functionality for scheduling future posts to be finished first. I can’t imagine that will take very long. The only issue I can see in the near future is the lack of popular documentation for such things as setting it up through or alongside Apache/Nginx. // Default client paths, located in the `./clients` directory. Did you have to change anything else to get Ghost to run with an alternate database client? I hope that helps…I will add this to the article for other people, too. I was reading it thinking “this is an excellent write up” and then as I kept reading I was pleasantly surprised to see you’d mentioned our themes as well! Thanks for that and I’m pleased to hear you like them! I just found out about ghost today and it sounds really interesting. Do you have any idea of when it will be public? The official site mentions something about “towards the end of Summer 2013” but we’re already in September. Looks impressive, might give it a try. Interesting. I’ve heard about Ghost and I’m wondering how it scales. I would love to get a hold of this platform and see how it scales. Or should I just rely on Varnish/Nginx to achive this.